Fun Gadgets & Gizmos Artfully Repurposed with Personality. 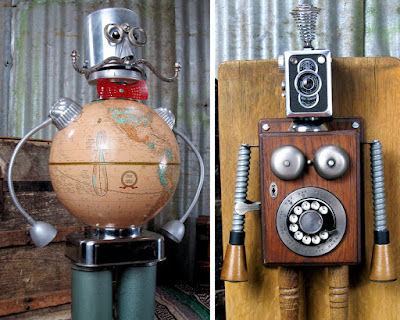 Found Objects Combined to Create Charismatic Characters. Every life can be enriched through Art, whether you are a creator or a consumer. Art can be found in all places, and it often works it’s way into our lives whether or not we seek it out. Becoming a talented artist requires dedication to your expertise of choice, but this passion can blossom at any time. 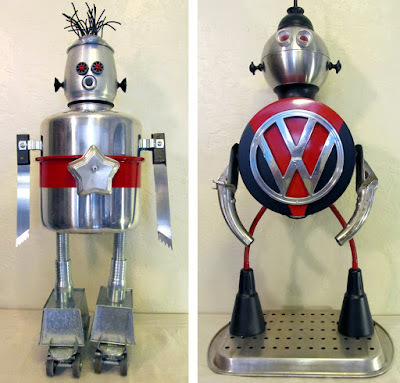 For assemblage sculptor Doug Brannan, drawing and other fine arts have always been enjoyable, but it wasn’t until later in life that he discovered a way to let his truly unique vision shine through. He has an eye for collecting odd bits and pieces at antique shops and fairs, objects that might not inspire anyone else, often overlooked due to wear and tear. 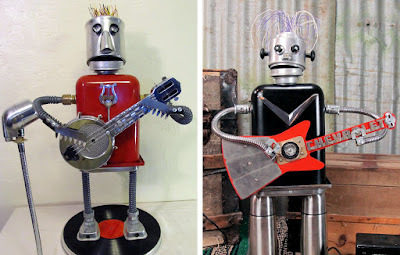 Doug then masterfully turns these finds into integral elements of personality-filled sculptures by taking them apart and them putting them back together in new and interesting ways. His goal is to bring others joy, and it’s easy to see that manifest in his creations. The little “robots” he assembles are so cleverly pieced together that they exude individual character. 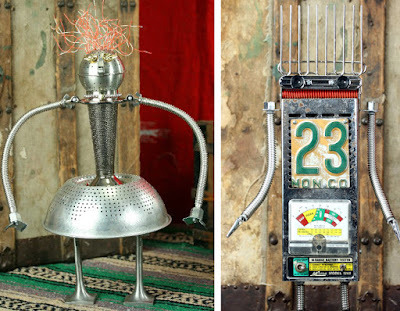 You could spend hours exploring the in’s and out’s of these little guys and gals, identifying where their component parts came from: A coffee maker, radio or telephone for a body, hair made of springs or wires, limbs from all types tools and faces both found in objects already or made from leftover nuts and bolts. I can only imagine how his mind sees the potential in the “materials” he collects. I personally get a little rush when I figure out what each piece used to be compared to how Doug has cleverly reimagined it. You can see his appreciation for gadgets especially. 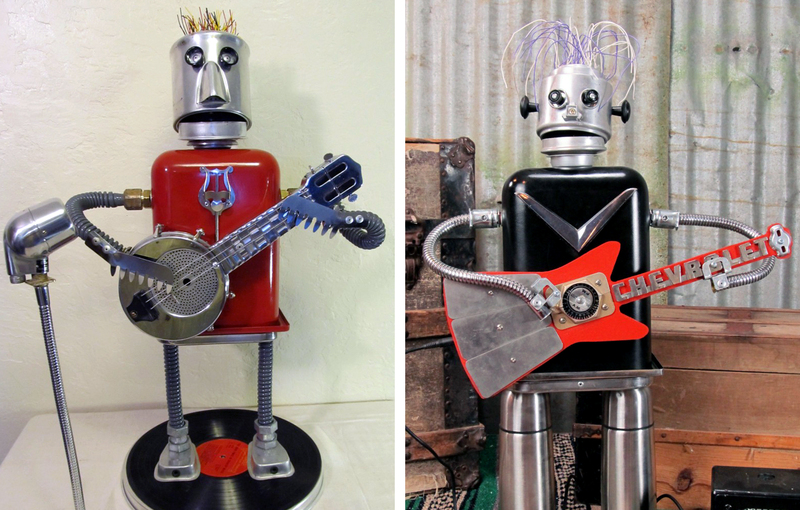 Refried Robots is up cycling at it’s best!